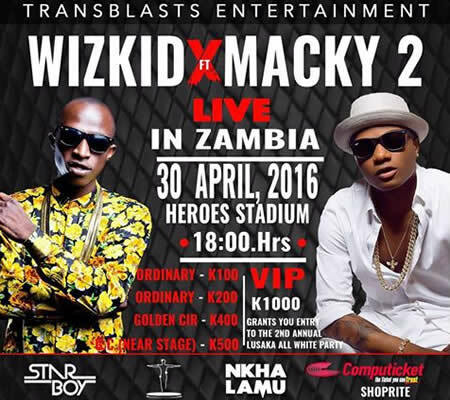 Come 30th April 2016, Heroes' Stadium will host one of the biggest parties of the year on Zambian soil as Nigerian heartthrob Wizkid real name Ayodeji Ibrahim Balogun will be performing live along side the country's biggest names on the music scene. 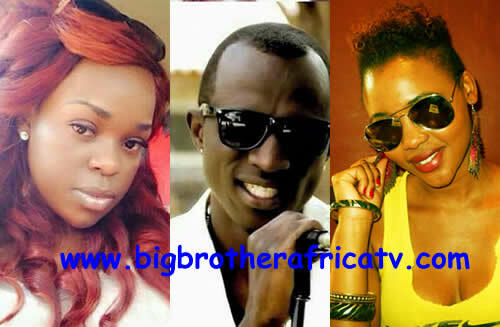 Big Brother Africa reps and award winning artistes Macky 2 Kaira, Cleo Mulenga and Mampi Mukape will be part of the entourage to entertain already excited fans. The trio who've been part of the Zambian music industry for years got more public notice when they took part in three different seasons of the continent's most popular reality show program with Macky2 and Cleo making it up to the finals. Since then on, they've managed to keep up with the pace and pressure that comes with taking part on the show and they've not disappointment as they gone on to release songs and doing collaborations not to mention the endorsements they've bagged. So folks, mark your calendars as Wizkid drops in town.